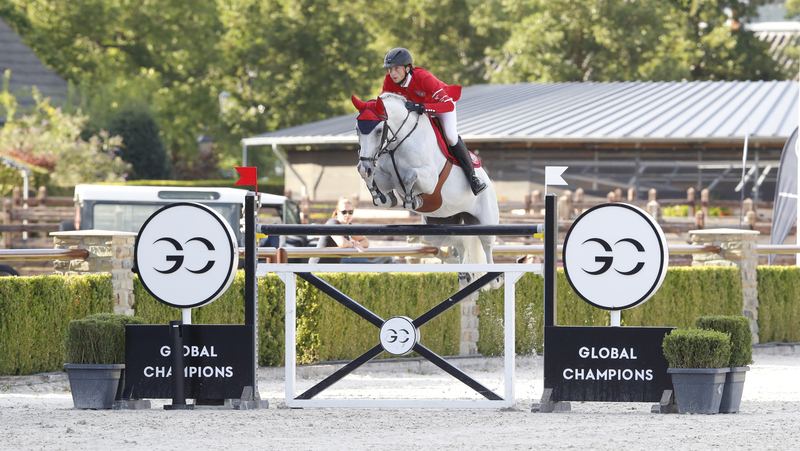 Today’s GCL Valkenswaard final stands to shake up the rankings as two of our top three teams, the London Knights and Miami Celtics, find themselves at the bottom of the ladder after yesterday’s thrilling first round. Of the five teams that go into round two on a zero score, the pressure is on the Cannes Stars to capitalise on their round one position to move further up the rankings from the precarious 15th position. In aid of this mission, Karel Cox will ride Evert who had an exceptional start to the 2018 season. The team managers have been working hard overnight as today’s line up sees twelve horse changes and five rider changes. Marcus Ehning has swapped in the on form Comme Il Faut for Valkenswaard United, will this secure a home team win? In seventh place overall, the Scandinavian Vikings’ Leopold van Asten will today ride VDL Groep Beauty and Marlon Modolo Zanotelli of the Rome Gladiators has brought Sirene de la Motte into the high performing team. The Miami Celtics have their work cut out today as Michael Duffy takes over the reins from Jessica Springsteen, riding EFS Top Contender and Denis Lynch will ride RMF Echo. In fourth place, the Berlin Eagles have chosen to maintain yesterday’s team who performed exceptionally, both Christian Kukuk and Philipp Weishaupt will have to keep an eye on the time today! The action kicks off at 14.30 local time and if you can’t be here in person you can catch it all live on GC TV and via FB LIVE on the official page.